On Sunday, November 12, 2017, at approximately 2:10 p.m. Killeen Police were dispatched to the 1000 block of Cedar Drive in reference to a 911 call about a shooting victim. Upon the officers’ arrival, they found a male lying in the roadway suffering from a gunshot wound. Officers immediately started to perform life saving measures until paramedics arrived. The preliminary investigation revealed that the victim and suspect were involved in an ongoing dispute. At the time of the incident, the two began a verbal altercation when at some point one of the subjects’ discharged a firearm at the victim. The victim, 27 year-old Curtis E. Shelley of Killeen, succumbed to his injuries and was pronounced deceased by Justice of the Peace Claudia Brown at 4:52 p.m. An autopsy has been ordered to be performed at the Southwestern Institute of Forensics Sciences in Dallas. Through the investigation detectives were able to identify the parties involved and the investigation is ongoing. The case will be sent to the Bell County District Attorney’s Office for review. UPDATE : All subjects in this incident have been identified. 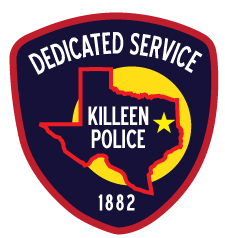 It was discovered during the course of the investigation that one of the parties involved is related to a Killeen Police Department employee, and therefore in the interests of transparency the Police Department has invited the Texas Rangers to review and assist in the progress of this investigation. Detectives with the Killeen Police Department’s Criminal Investigation Division are asking anyone who may have additional information about this incident to contact Crime Stoppers at 254- 526- TIPS (8477) or go online at www.bellcountycrimestoppers.com. You can also give an anonymous tip by downloading the P3tips app for IOS and Android. All information is confidential and if your tip leads to the arrest of the person(s) responsible for this incident you could be eligible for a reward up to $1,000 in cash. The Killeen Police Department will be providing extra patrols in our major shopping areas during the holiday season. This event will run from November 17th through December 24th. Shoppers can look for the Killeen Police Department’s Mobile Command Center in the major shopping areas on the weekends. We will be posting the locations each week. This will be an opportunity for you and your family to meet your community police officers, ask questions or obtain assistance. We would like to wish everyone in the community a safe and happy holiday season. On Monday, October 16, 2017, at 8:40 p.m., officers of the Killeen Police Department were dispatched to MetroPlex Hospital in reference to an assault alleged to have taken place 20 minutes earlier at Lions Club Park. Upon the officer’s arrival, the victims advised the officers that they had been walking the exercise path at the park and they were returning to their vehicle when they were approached by 3 to 4 black males. The victims stated that as they were trying to enter their vehicle the suspects assaulted them and took a backpack from the vehicle. The suspects could only be described as black males wearing sweatshirts, hoodies and basketball shorts. Based on the victim’s statements, a report for robbery was filed by officers. Detectives are asking that anyone who may have witnessed, or have knowledge of, this robbery to please contact Crime Stoppers at 254-526-TIPS (8477) or go online at www.bellcountycrimestoppers.com. You can also download the P3tips App for IOS and Android and give an anonymous tip. All information is anonymous and confidential and if your tip leads to the arrest of the suspect, you could be eligible for a reward up to $1,000 in cash. This week is National Rail Safety Awareness Week. The Killeen Police Department Traffic Unit, along with the Burlington Northern Santa Fe Police Department, worked a traffic enforcement detail today at the railroad crossing on State Highway 195 (Fort Hood St.) Six Killeen PD Traffic Officers and one BNSF Special Agent participated in the detail and stopped vehicles for violations of the Texas Transportation Code pertaining to railroad crossings. The detail began today at approximately 10:30 a.m. and was completed at approximately 12:45 p.m. The Killeen Police Department wants to remind the public to observe all railroad warning signs. It is unsafe and unlawful to disregard warning signals and stop on or within 15 feet of the tracks. On September 26, 2017 at about 7:34p.m., Killeen Police responded to an aggravated robbery of an individual the 1300 block of S. 2nd Street. Reportedly, a 25 year-old male suspect was armed with a handgun and attempted to rob the victim. The victim fought back against the suspect. During the fight, the suspect fired a single shot that struck a nearby vehicle’s tire. The suspect was also bitten by the victim’s dog during the altercation. The suspect fled the scene while being pursued by witnesses. The witnesses were able to direct responding officers to the suspect, who was taken into custody without further incident. Officers recovered the suspect’s weapon and discovered it had been reported stolen in College Station, Tx. The suspect was treated on-scene for the dog bite and transported to KPD Jail. The case will be screened with the Bell County District Attorney’s Office. On September 24, 2017, at approximately 12:12 p.m., Killeen Police responded to a traffic crash involving a pedestrian in the 800 block of Jeffries Ave. Upon arrival, officers located a 5 year-old boy who had been struck by a vehicle that subsequently fled the scene. The boy was transported to McLane’s Children’s Hospital in Temple by Killeen Fire Department Ambulance. At this time, the severity of the child’s injuries are unknown, but they appear to be serious. Witnesses reported that a late-model silver Dodge Charger with black diagonal stripes on the side was traveling southbound on Jeffries when it struck the child. After striking the boy, the Charger stopped for a moment a couple of houses down. A late-model red Ford Mustang or Dodge Challenger that appeared to be traveling with the Charger stopped alongside. After a few moments, both vehicles left the scene, southbound on Jeffries. The crash is being investigated by the KPD Traffic Unit. Additional information will be released as it becomes available. Officers are asking anyone with information regarding this crash to please call Bell County Crime Stoppers at 254-526-TIPS (8477) or online at www.bellcountycrimestoppers.com. You can also download the P3tips app for IOS and Android to give an anonymous tip. All information is confidential and anonymous and if your tip leads to the arrest of the suspect(s), you could be eligible to receive a reward up to $1,000 in cash.